If you have clients looking for new construction, but cannot wait for the process to be completed – the Backmann Team has your solution! 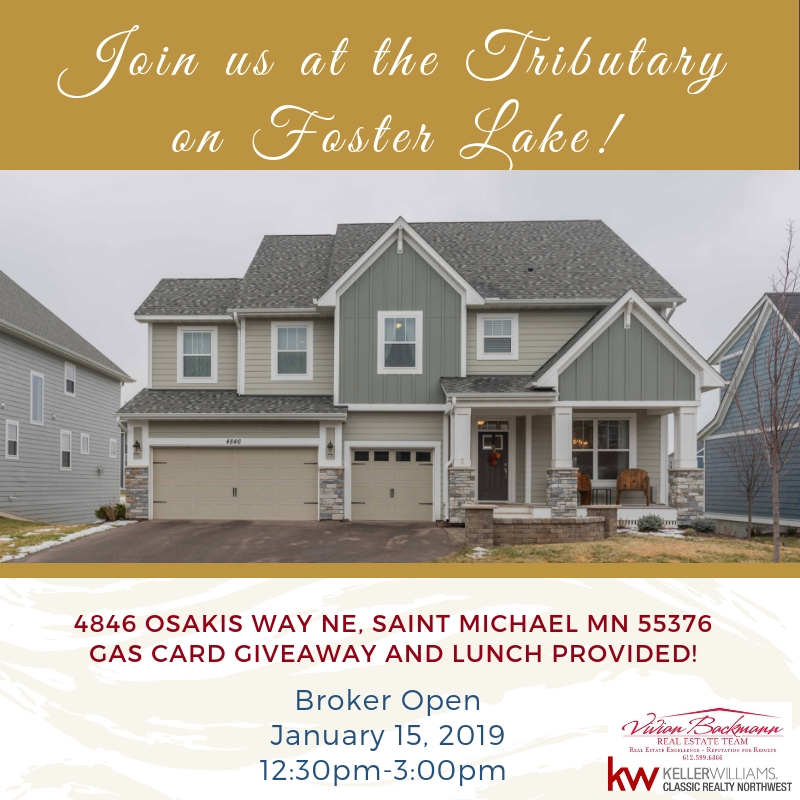 This move-in ready home located in the Tributary on Foster Lake in St. Michael features all of the upgrades your clients could want! The community is conveniently located off of I94 tucked between Fox Hollow Golf Course and Foster Lake. Visit our open house to view the beautiful craftsmanship of this Robert Thomas home. Serving a light lunch and a drawing for a gas card. Rogers Schools with open enrollment for St. Michael. We look forward to showing you what all the talk is about with this amazing community!